Rats and mice can be a source of trouble for homeowners, especially if they find a way to sneak into their kitchens, bathrooms, and other parts of the property. Whether you find them adorable or totally disgusting, there’s no denying the fact that rats and mice can cause a lot of trouble in your home. If you call a professional rat and mice removal in Westchester County, New York, however, you can rest assured that you will be protected from the problems caused by these little troublemakers. Professional rat and mice removal can save you from the diseases that these critters cause. Whether the rat bites you, scratched you, or simply roams around your house freely, you are bound to catch diseases. Rats are responsible for causing a range of illnesses including liver and kidney damage, cardiovascular problems, allergies, skin infections, and more. Rats are not just carriers of harmful diseases and bacteria, they can cause a lot of other problems as well. Rats will bite into anything that it finds useful for building a nest. 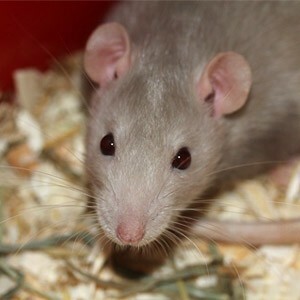 If a rat is living in your home, you are bound to find many punctured and chewed household items. All the money you put into insulation will go to waste by the presence of mice or rats in your home. Rats tend to pierce through insulation walls to make a nest, resulting in costly repairs. Mice and rats are real troublemakers. They chew and destroy anything that they can use to build their nests. And if they find a way into your appliances or insulation, they can chew into the wires to gather material for their nest, resulting in an increased risk of fire. The destruction that mice and rats cause is not only costly, but dangerous to human health. To get rid of mice and rats without harming them, you must call a professional company that offers humane rat and mice removal in NY. Contact Pinnacle Wildlife Control for professional mice and rat removal and control services.